The U.S. Attorney’s Office in Muskogee announced this week that Mark Brandon Weeks, 41, of Van Buren, Ark., was sentenced to 15 months of imprisonment and three years of supervised release for possession of counterfeit bills. The defendant was also ordered to pay restitution in the amount of $300. The charges are a result of an investigation by the Muskogee Police Department, the Sallisaw Police Department and the U.S. Secret Service. 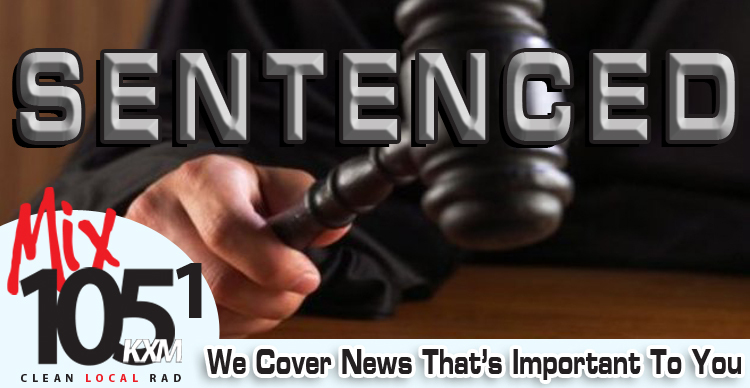 The defendant was indicted in January and pled guilty in April. The Indictment alleged that on or about Aug. 10, 2015, Weeks, did, with intent to defraud, possess counterfeit obligations of the United States, that is 70 counterfeit $100 Federal Reserve Notes, which he knew to be falsely made, forged and counterfeited. District Judge Ronald A. White in the U.S. District Court for the Eastern District of Oklahoma in Muskogee presided over the hearing. 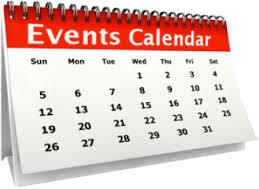 The Sallisaw Chamber of Commerce is developing an events page for the benefit of the community and the organizations planning events. Judy Martens, the chamber’s executive director, told the groups attending Coffee & Calendars meetings on Thursday that sometimes organizations plan events on the same date, which benefits neither group. Having events published and made known on one web site will benefit the groups and their efforts, as well as the community. The web site is under design at the Sallisaw Chamber and all groups are encouraged to list their events to avoid conflicts or even work together on events. Nearly 30 groups attended the morning and afternoon meetings at the chamber. The group representatives listed their events that will be posted. 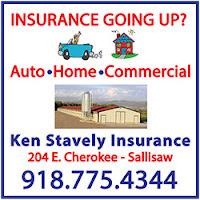 Currently participating are the Sallisaw Masonic Lodge, the March of Dimes, the Juvenile Diabetes Research Foundation, Doers Outreach Ministry, Sallisaw Schools, People Inc., Journey Church, Carl Albert State College, the Sequoyah County Times, Sequoyah County Women in Business, Armstrong Bank, the Sallisaw Pastors Fellowship, Catholic Charities, the Sallisaw Take Down Club, Peters Agency Home Health and Hospice, Immanuel Baptist Church, the City of Sallisaw, the Sallisaw Now Coalition, Sallisaw Main Street, The Mix 105.1, and several others who were unable to attend the meetings. For more information about the program or to be included contact the chamber at 918-775-2558. An Arkansas man was arrested and authorities are seeking a female accomplice after an early morning chase this week in eastern Sequoyah County. Arrested was Chad Dean Chrisman, 38. According reports Chrisman and a female companion fled from police after a Roland officer tried to stop them at about 7:45 a.m. on PawPaw Road. It was believed the two suspects were involved in two break-ins Monday in eastern Sequoyah County. According to reports the chase proceeded along PawPaw Road to Roland then to Liberty, north of Roland. Police reported the chase ended near the Maple community, north of Muldrow, when the suspect’s truck high centered over a log. Both Chrisman and the female ran from the truck but he was apprehended after a short foot chase. The female escaped on foot. Chrisman is facing charges of eluding police, running a roadblock, concealing stolen property, and second-degree burglary. 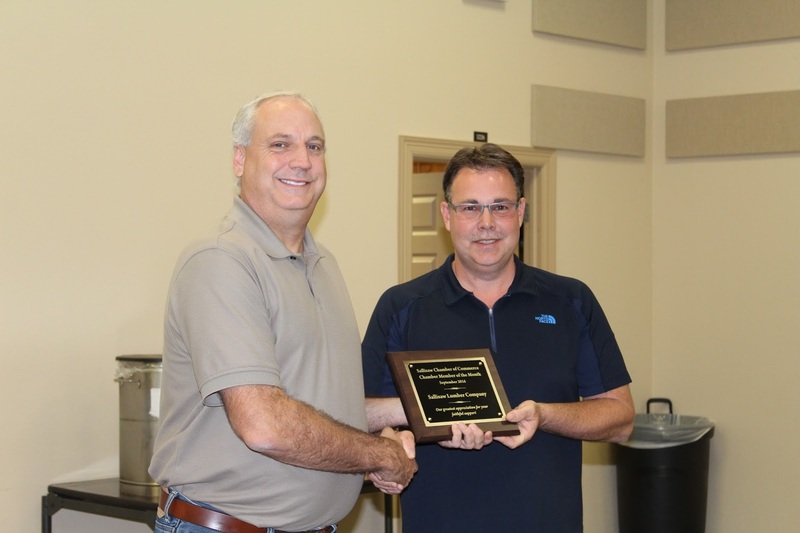 Sallisaw Lumber was named the Sallisaw Chamber Member of the Month at the monthly chamber luncheon Wednesday. Chamber President Shannon Vann, left, presented the Member of the Month Plaque to Jarret Hetherington from Sallisaw Lumber. Vann noted Sallisaw Lumber, opened in 1974 by Jerry and Georgia Hetherington and Dan Ollie, has supported many philanthropic county endeavors throughout the years. Entries are now being taken for the chamber’s Kerr Lake Bassnanza on Nov. 5. The entry fee is $150 per boat and a $25 fee for the Big Bass Entry (per boat), with 100 percent payback. 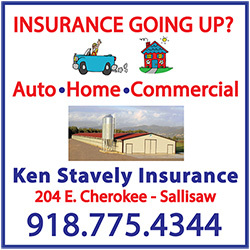 For information contact the Sallisaw Chamber of Commerce at 918-775-2558. The chamber’s Eviva! will be held Nov. 19 at Roma’s Italian Restaurant and reservations may be made by calling the chamber. Junior Achievement in a Day, which pairs business leaders with eighth-grade students for a day, will be held Oct. 17, and several chamber members volunteered to participate. The chamber-sponsored Political Forum will be held 6 p.m. Oct. 3 at People Inc. and features several candidates for public office. The public is invited to the forum. 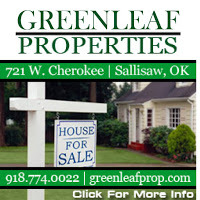 Jeff Mayo of the Sequoyah County Times reviewed the history of business in Sallisaw, from 1888 to the present. At the conclusion of the presentation he asked, “What’s next?” He asked the chamber members what they would like to see in Sallisaw’s future. Mayo said he would like to see the development of the Blue Ribbon Downs property by the present owner, the Cherokee Nation, into a tourist destination. A Multiple Sclerosis Walk will be held Oct. 8 in Gore. The event is to raise awareness about multiple sclerosis (MS) and funds to fight the disease. 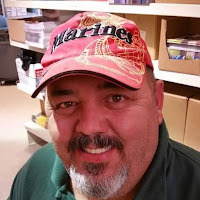 Vinson’s team is seeking donations for the cause. He may be reached at 918-776-3838. 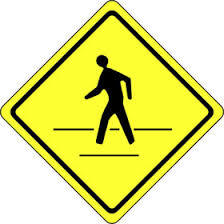 The Multiple Sclerosis Walk will begin at 10 a.m. Oct. 8 at the Gore Tag Office. A live and silent auction will also be held to raise funds for the cause. 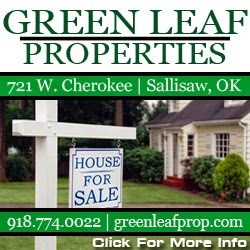 For more information contact Shelly Sheffield at 918-261-6444 or Peggy Sheffield at 918-232-6092. Omar T. Reed will present a program on Federal Marshal Bass Reeves at the book luncheon at noon Oct. 5 at Stanley Tubbs Memorial Library in Sallisaw. 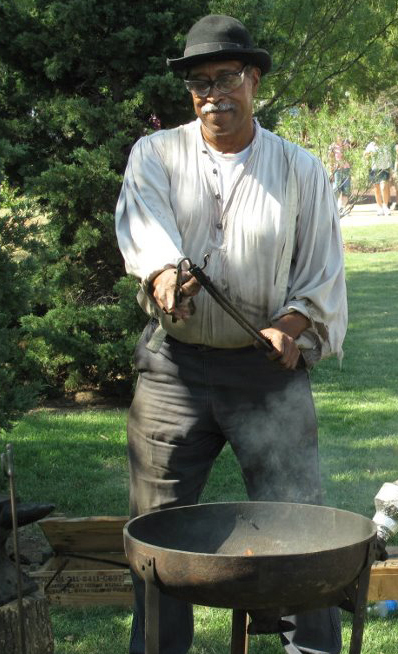 Reed portrays a number of people, including a fur trader, slave, freedman, Civil War soldier and Bass Reeves at the Fort Gibson Historic Site and Interpretive Center. Bass Reeves was one of the first black deputy U.S. Marshals west of the Mississippi River, and worked in Arkansas and the Indian Territory. During his career he claimed to have arrested over 3,000 felons and shot and killed 14 outlaws in self-defense. Reeves worked for 32 years as a federal peace officer in Indian Territory and was one of Judge Isaac Parker’s most valued deputies. Reeves brought in some of the most dangerous criminals of the time, but was never wounded in spite of having his hat and belt shot off on separate occasions. Once he had to arrest his own son for murder. The free program is hosted by Friends of the Library. To make reservations to attend the program call the library at 918-775-4481. Carl Albert State College (CASC) and Stigler Health & Wellness Center Inc. (SHWC) added dental services to their partnership in order to assist CASC students and employees. SHWC Chief Operating Officer Brooke Lattimore announced SHWC has purchased a mobile dental unit. “With the mobile unit, we are now able to provide dental services in our surrounding communities, including Carl Albert State College students and employees,” she said. 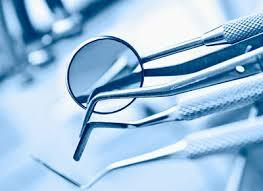 The dental agreement works in a similar way as the medical agreement. Students and employees using the services will be responsible for providing proof of Medicaid or private insurance, and these programs will be billed directly on behalf of the student/employee. For those seeking care without insurance, they will apply for the sliding fee scale, and SHWC will directly bill the patient for the minimum dental office visit fee. Alan Wayne Beaird, 48, was taken into custody Tuesday evening on an arrest warrant for embezzlement. His bond was set at $5,000 and he was freed on bond. 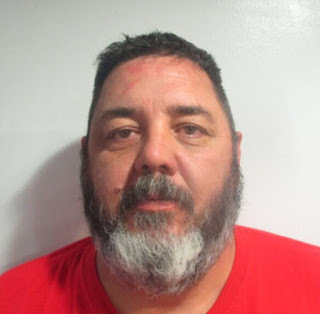 Beaird was formally charged Tuesday in Sequoyah County District Court with embezzlement and his arraignment on the charge is set for 1:30 p.m. Oct. 1 before Associate District Judge Kyle Waters. The affidavit notes that Beaird would sign out the league’s debit card and not return it or the required receipts to the league’s paymaster. Bank statements from October 2012 through June 2016 were reviewed. In 2015 investigators found seven transactions that appeared to be unauthorized. In 2014 four transactions appeared to be unauthorized, and in 2013 the investigator found 24 transactions that appeared to be unauthorized. The affidavit also notes that Beaird was removed from the commandant position early in 2016. The warrant was requested by District Attorney Brian Kuester based upon an investigation by the Sallisaw Police Department. The affidavit notes that the league required two authorized signers for the league’s account, and purchases to be approved by a vote of league members. One debit card was issued for the account and was to remain with the league’s paymaster, the affidavit reports. But, the affidavit continues, Beaird would sign out the debit card and not return it or the required receipts. 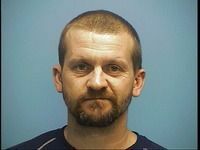 According to the affidavit, Beaird is now a resident of Rogers, Ark. His bond was set at $5,000. As of 3 p.m. Tuesday, Beaird had not been arrested according to the Sallisaw Police Department. The Carl Albert State College (CASC) softball team will be hosting a Fall Showcase on Oct. 16 on the Poteau campus. The showcase will evaluate all softball skills including arm strength, defense ability, hitting ability, timed running, pitching and catching. 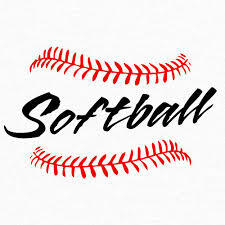 CASC Assistant Softball Coach Jon Booth stated the showcase is limited to 40 players at a cost of $50 per player. Pre-registration is online at www.carlalbert.edu/softball. The day of the showcase will include pitchers and catchers arriving between 9 and 9:30 a.m. Position players will sign in between 10:30 and 11:00 a.m. Practice and evaluations will take place into early afternoon, and the day will close with a live scrimmage from 12:45 to 2:30 p.m.
Booth emphasized that each player will need to bring a copy of this school year’s physical to the showcase in order to participate. For more details, contact Booth at 918-448-8500 (cell), 918-647-1283 (office) or at jwbooth@carlalbert.edu. Officials stated that both were injured but the extent of their injuries is not yet known. The motorist apparently failed to yield to the crosswalk attendant causing the two to be struck. 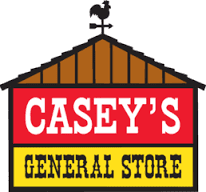 Casey’s General Store will hold interviews for jobs at the new Casey’s in Sallisaw from 9 a.m. to 1 p.m. Wednesday at Indian Capital Technology Center (ICTC) in Sallisaw. Interviews will be held in Conference Room 1 in Building D at ICTC. Computers will be set up for prospective employees to fill out applications on the spot. Applicants are also encouraged to bring resumes. Applicants may also apply on line at www.caseys.com/careers. Casey’s is hiring both full-time and part-time employees for the new store at 120 W. Cherokee. The new store is to open Oct. 20. The welding program at the Indian Capital Technology Center in Sallisaw recently received a $15,000 grant from the Gene Haas Foundation. The grant will be used to purchase equipment. 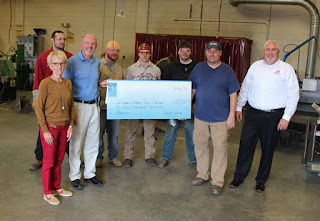 With the grant check are, from the left, Paula Padgett; Travis Mairel; Curtis Shumaker; welding students Kael Blanchard, Woodrow Click, Haskell Green, and Daniel Bost; welding instructor Johnnie Austin, Gene Haas Foundation. Motorists enjoying the first signs of autumn are advised to maintain the speed limit as they travel this weekend. This weekend Oklahoma Highway Patrol and 24 other law enforcement agencies across the state are joining law enforcement from Kansas, Iowa, Missouri, Nebraska, Arkansas and Oklahoma in a Regional Speed Enforcement Campaign. Troopers will be on the lookout for those who are traveling above the speed limit on all roadways. Law enforcement officers across the state will patrol about 1,156 miles of roadway. By concentrating law enforcement on high traffic corridors, organizers hope to put motorists on guard and encourage safe driving. Nationwide, 27 percent of crash fatalities in 2015 were related to a driver exceeding the speed limit or driving too fast for conditions. Fully 86 percent of all speeding-related traffic fatalities occurred on local roads -- where the posted speed limits were 55 miles per hour or under. According to the National Highway Traffic Safety Administration (NHTSA), a crash on a road with a speed limit of 65 mph or greater is more than twice as likely to result in a fatality than a crash on a road with a speed limit of 45 or 50 mph and nearly five times as likely as a crash on a road with a speed limit of 40 mph or below. About 14 percent of the country’s speeding-related fatalities occur on interstate highways each year. NHTSA considers a crash speeding-related if the driver was charged with exceeding the posted speed limit or if the driver was driving too fast for conditions at the time. “Speeding is a serious problem on Oklahoma roadways and has contributed to multiple traffic crashes, especially those that resulted in deaths. Too many of our fellow citizens are impacted by drivers who drive too fast for the road conditions or exceed the speed limit,” said Major McCoy, Oklahoma Highway Patrol. “In order to get drivers to slow down and reduce the number of crashes and fatalities, we plan to intensify enforcement of posted speed limits in Oklahoma. 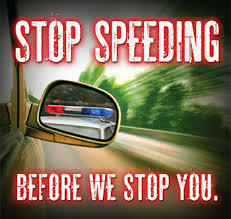 We’ll stop and ticket anyone caught speeding,” he said. “Our goal is to save lives and we’re putting all drivers on alert - the posted speed limit is the law. No more warnings and no more excuses. When it comes to speeding: Obey the Sign or Pay the Fine,” said McCoy. Center in Tahlequah. The center is at 17675 S. Muskogee Ave. The Cherokee Nation is hosting a resource and benefit enrollment fair for all veterans on Oct. 4 at the Cherokee Nation Veterans Center in Tahlequah. 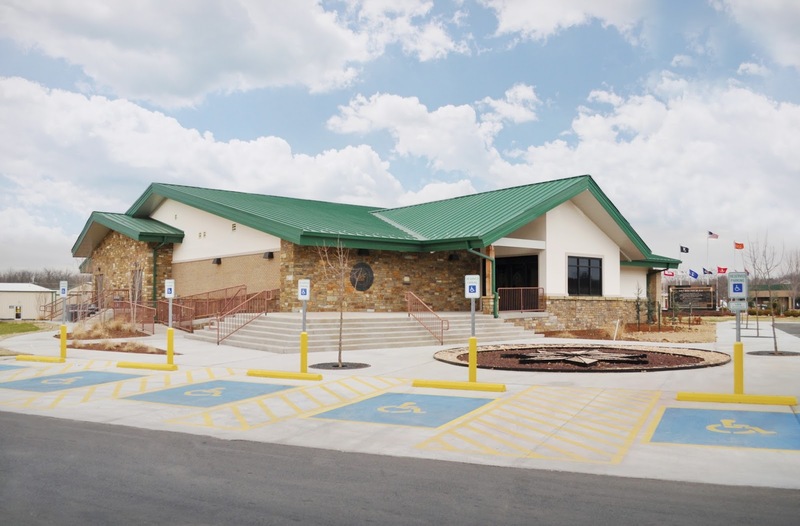 “Cherokee Nation is committed to the mental and physical health of our military veterans. 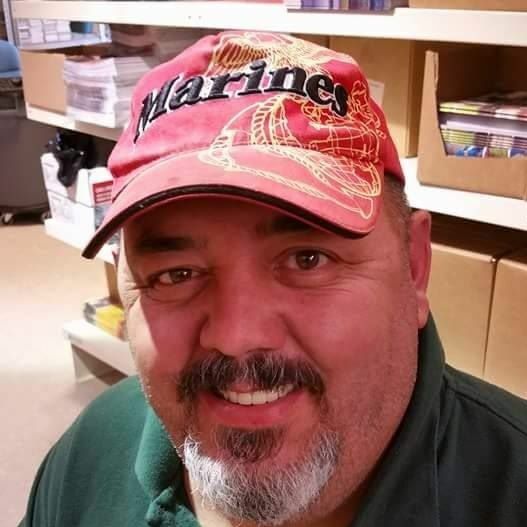 Hosting this special educational fair will better connect all veterans, both Cherokee and non-Cherokee, with the essential services, resources and benefits available to them from the state, federal and our tribal government,” said Cherokee Nation Deputy Chief S. Joe Crittenden, a U.S. Navy veteran. 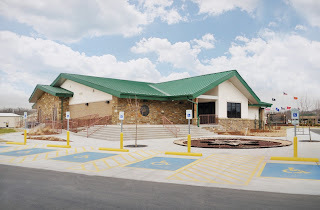 The event will be held from 9 a.m. to 3 p.m. and feature informational booths and resources from the U.S. Department of Veterans Affairs, Cherokee Nation and other community agencies. It is open to all veterans, their family members and widows of those who served. Lunch will also be provided. Attendees need to bring a copy of the veteran’s DD Form 214. For more information or transportation assistance, call the Cherokee Nation Veterans Center at 918-772-4166. Sallisaw police detectives are asking the public for help identifying the above male subject. 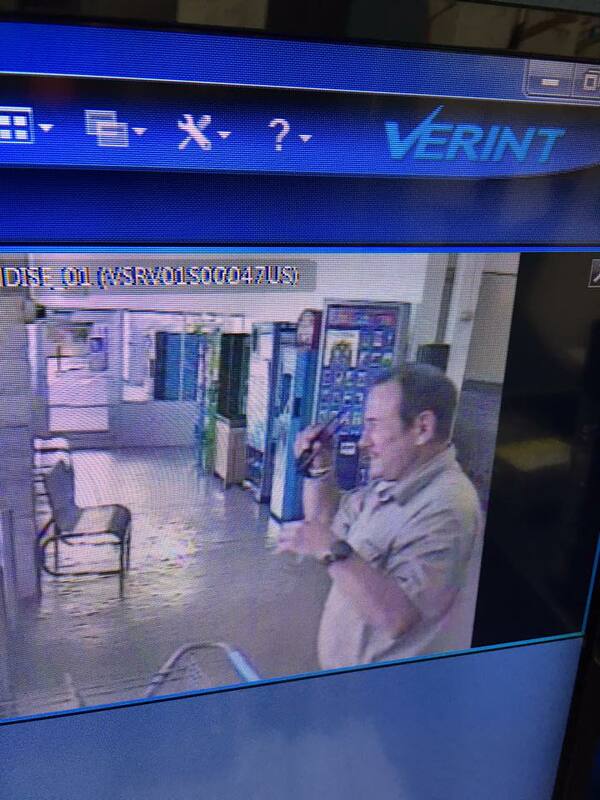 He is seen on video from the Walmart store in Sallisaw. Police Chief Terry Franklin said investigators would like to question the man for an ongoing investigation. 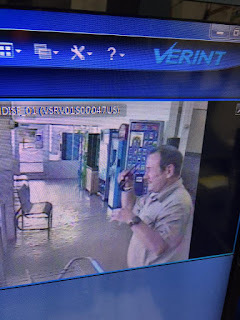 Anyone who has information about the man’s identity is asked to call the Sallisaw Police Department at 918-775-4177, and ask to speak to an investigator. 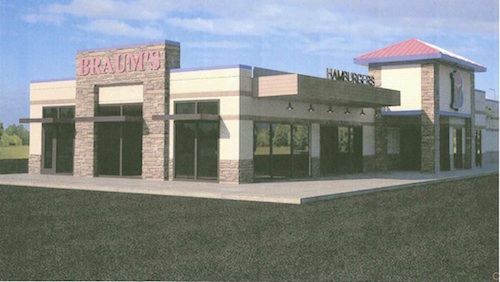 Braum’s is churning up a new store in Sallisaw. “We need a new store in Sallisaw with new features,” said Amanda Beuchaw, who is with Braum’s public relations. Beuchaw said the Sallisaw Braum’s store, on South Kerr Boulevard, will close on Oct. 2, and will be demolished. The new 6,000-square-foot store will be constructed on the same site. “We expect the new store will open in late March or early April,” Beuchaw said. The new Braum’s will have many new features she said, from a double drive through, to an expanded Fresh Market section, to a new sign. 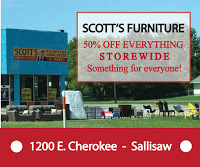 The newest store is in Tecumseh, she said, and the new Sallisaw store will resemble that location. The old Sallisaw store opened in the late 1990s, Beuchaw said. The employees at the store have been offered jobs at nearby stores in Fort Smith and Poteau. Bushell said Braum’s knows the drive might be a problem, but it is only right to offer employees other placings so they may return to the new Sallisaw store if they wish. Braum’s headquarters are in Oklahoma City. Braum’s restaurants serve ice cream, frozen yogurt, hamburgers, sandwiches, salads and breakfast items. Stores also include a grocery section called the "Fresh Market" featuring dairy products, baked goods, beverages, frozen entrees, meats and produce. Braum's is noteworthy for its level of vertical integration. Almost all the food products sold at Braum's are processed or manufactured directly by the company. Braum's owns its own feed mill, dairy herd, dairy processing plant, bakery, stores and delivery trucks. It also owns eight farms and ranches with a total area of 40,000 acres, as well as its flagship dairy farm in Tuttle. The dairy farm has specified times during which it is open for public tours and is a popular destination for school field trips. Braum's describes itself as the only major ice cream maker to still milk its own cows. They also produce the packaging used for their dairy products.